Personal Safety Equipment is a key factor in keeping your workers and your job injury and accident free. From disposable aprons and gloves to full body protective suits, American Supply Corp. can provide you with quality wholesale personal safety equipment that will keep your workers safe, prevent cross contamination, and keep your job under budget. 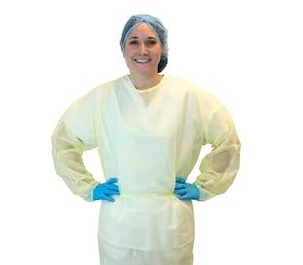 Lab coats, isolation gowns, and gloves can be made in a variety of materials that will provide maximum comfort to your workers while giving them the best protection possible. Safety equipment doesn't have to be irritating to wear and it has been proven that providing your workers with comfortable, breathable items actually increases job safety. The bottom line is that if a worker does not like the feel of the items, they are more likely to have accidents. American Supply Corp. only deals with the best manufacturers of Wholesale Personal Safety Equipment. Our volume purchases allow us to provide our customers with the highest quality product at the lowest price. This means smaller businesses can enjoy the same savings as their larger competitors and keep their job costs down. If you are looking for quality personal safety equipment at a low price, then American Supply Corp. should be your first choice. Please browse our products online and get a quote today.